Gwen's school is currently on the year round program (it might switch back next year, fingers crossed). This means that she has 9 weeks on, then a 4 week break, another 9 weeks on, a 5 week break, repeat. She was off starting the 25th of September and doesn't go back until the 20th of October. Its very different then what we are used to, but we decided to make the most of it. 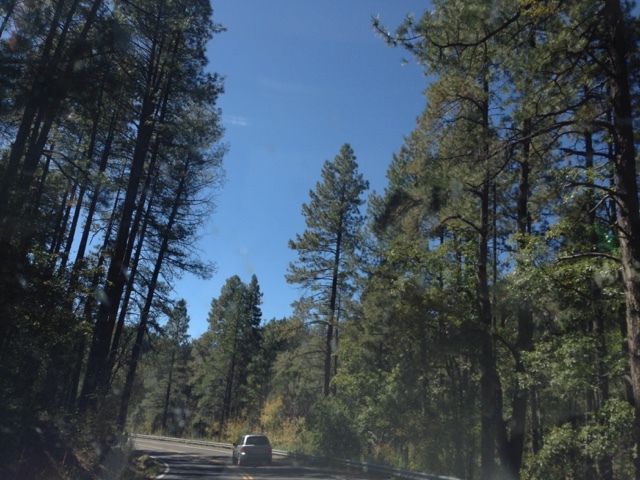 Flagstaff, AZ (where Gruncle Wray was) is only 11 hours away; Scottsdale (Trav's parents) only about 2 hours further. So, we decided it was time for a roadtrip!! 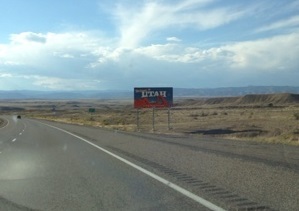 We planned to head down through Utah, and come back through New Mexico (two more states to check off my list!). We left the morning of Monday the 28th. 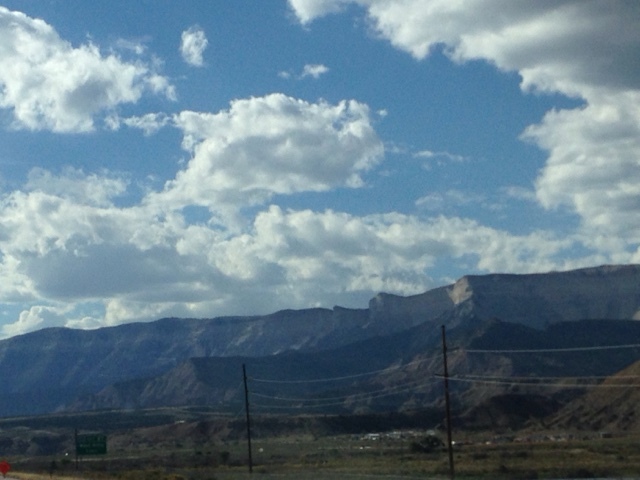 The drive, first through the Rocky's, then through Utah, was gorgeous! 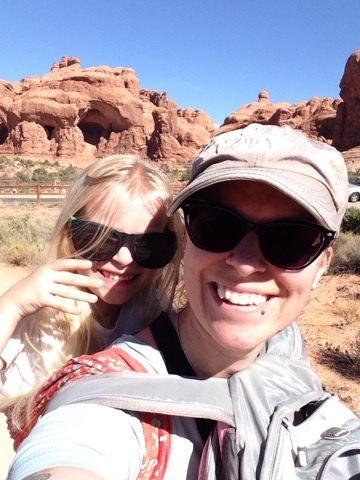 Our first destination was Moab and Arches National Park. We arrived in the evening and headed in just to give a quick look around, and to plot where we would hike the next day. 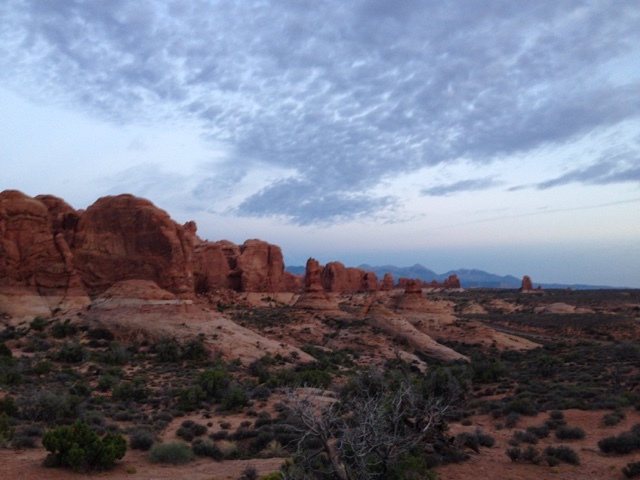 The setting sun was the best possible way to see Arches for the first time! We grabbed some dinner, then checked into our hostel (the Lazy Lizard, a good place) and got to bed. The next morning we were up and off to the park after a quick breakfast. 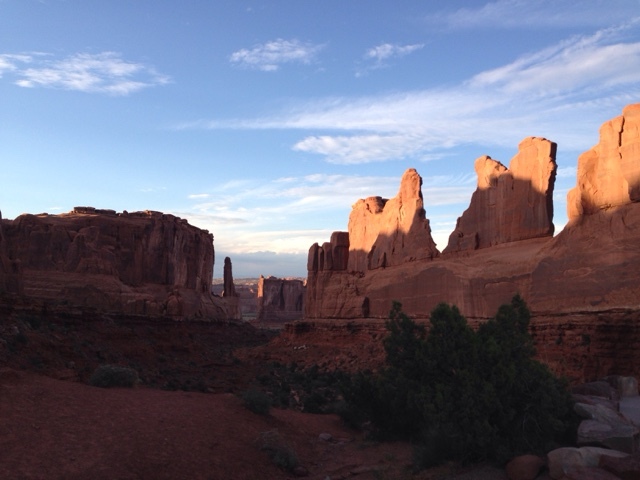 We hiked the Windows trail, and the Double Arches trail - two of the shorter ones, but with good views. Considering Gwen needed a lift for part of the walk, it was the longest I was willing to do with me being the only pack mule around! 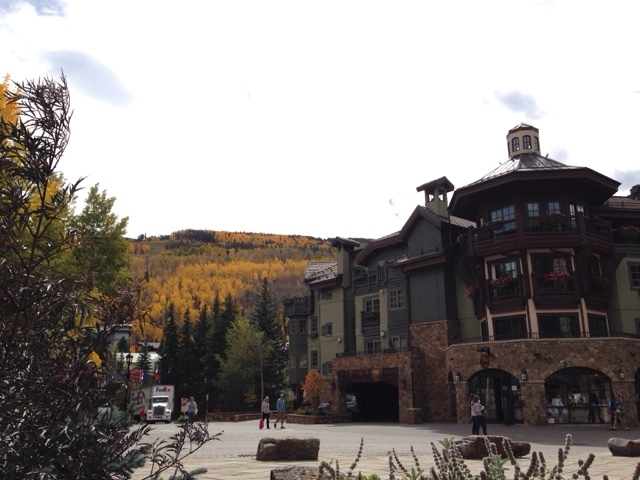 It was a beautiful time, in an amazing place. 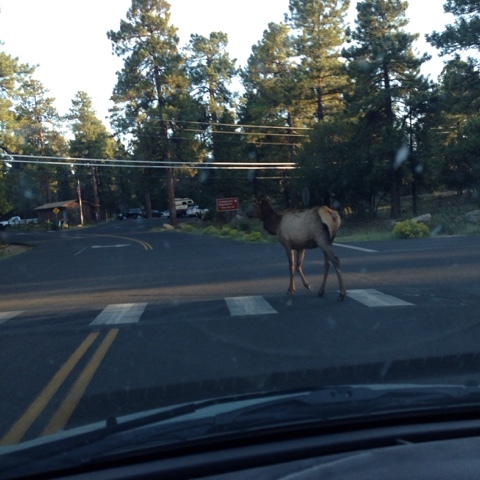 After that we jumped on the road and headed to the Grand Canyon! It was a long drive, through some very wide open, empty land (a little desolate, a little scary! ), but it was beautiful and went quickly. 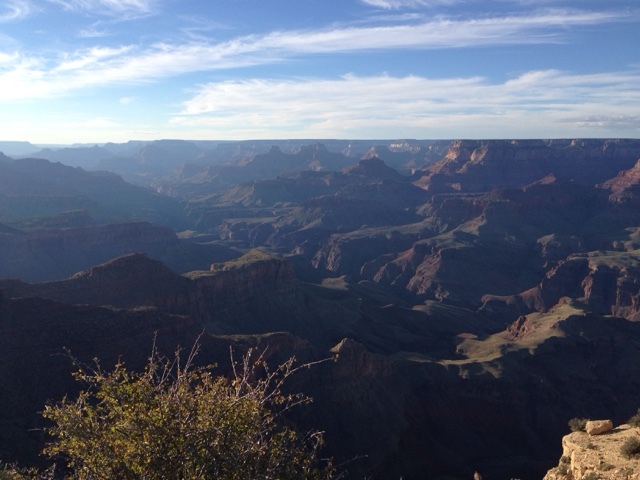 And considering we were greeted with this view, quite worth it! 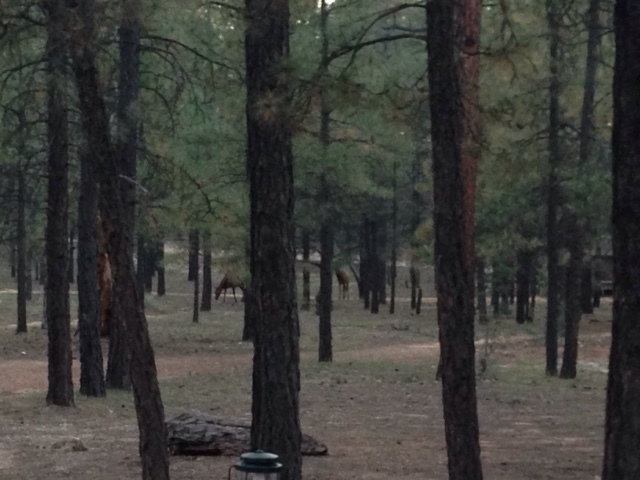 There were elk everywhere. 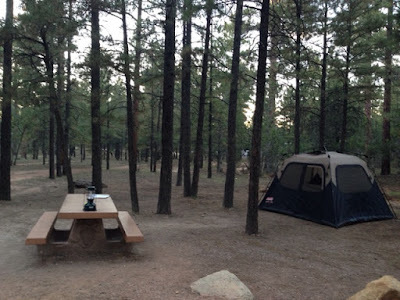 Like just behind our camp site. Can't see them? I'll zoom in for you. 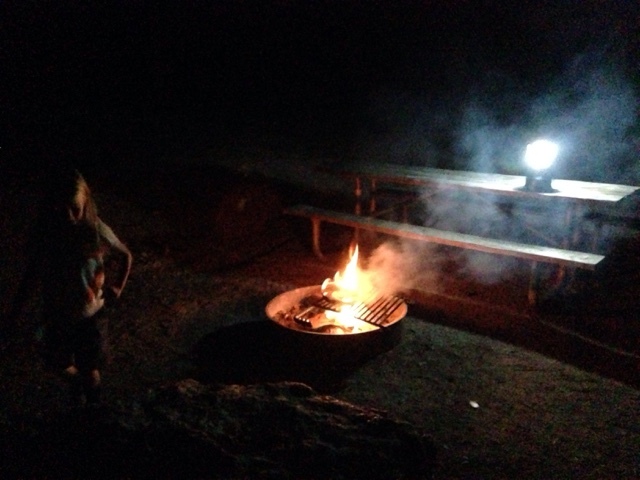 Gwen and I went to the Grand Canyon General Store, picked up some wood, then it was back to camp to do some cooking. 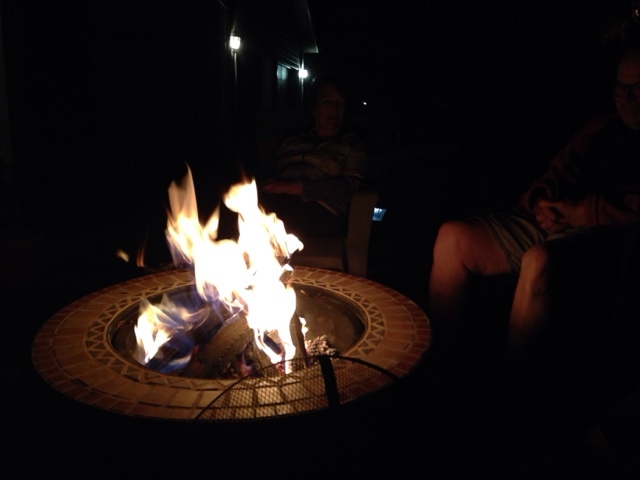 I made fire. I was pretty damn proud... not going to lie. We were in bed early. The next day we were up early too. Birds as your alarm will do that! We got ready, packed up, and headed over to the Canyon rim. At each park our first stop was the Visitor's Center to get our passports stamped. But then it was onto the trails. 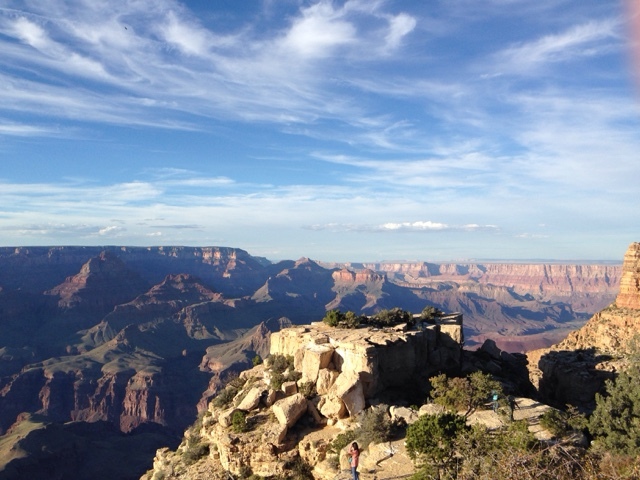 We walked along the South Rim Trail for a while, then when Gwen got too tired, we hopped a shuttle back to the V.C., and took another out to a further spot on the Rim. After that, Gwen was ready for a rest, so we got on the road for the quick drive to Flagstaff to visit with Gruncle Wray and Aunt Susie. They were staying with Susie's sister and brother-in-law there before continuing their own travel adventures, so it was a great time to meet up with them. We ate and talked and had a fire, and too soon it was time to sleep. 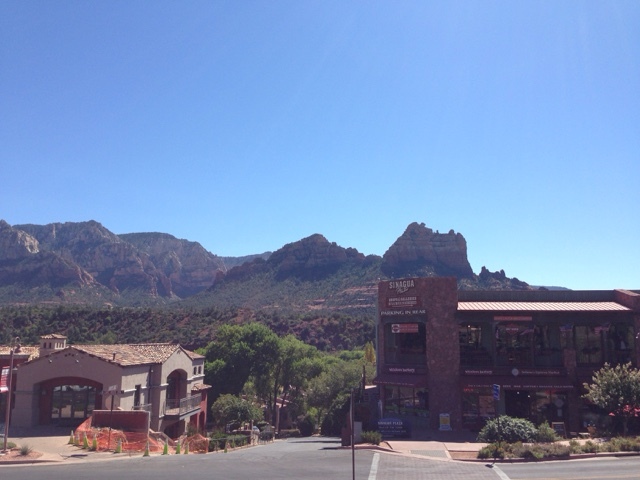 We got up the next morning, helped W&S run an errand, then it was on to Scottsdale by way of Sedona. I'll tell you the truth... everything about this trip was amazing and beautiful, but the drive between Flagstaff and Sedona is one of my favorite parts of the whole thing. I've been missing something in Aurora, and the second I started along this mountain, with these trees, well I knew what it was. This forest, it made my soul sing and made my heart content. I wanted to stop and just breathe it all in for hours. I've said it before and I'll say it again, give me forests, big lush forests, especially on mountains, and I am at my happiest. 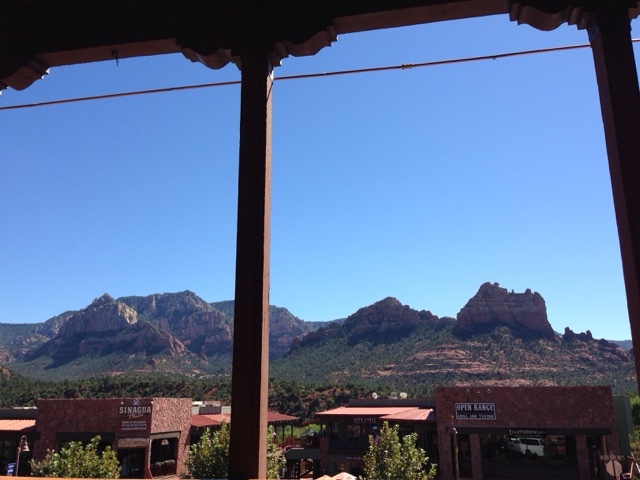 Lunch was in Sedona, home of some of the most gorgeous red rocks... and at the exact same restaurant that Travis and I ate at 7 years ago, or whenever it was that we first visited his parents. 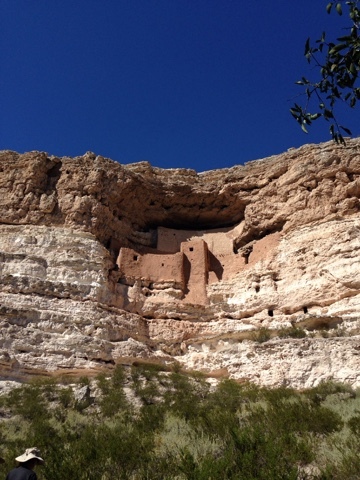 We continued on after that, making one last slightly impromptu stop at Montezuma's Castle on our way to Scottsdale (another passport stamp!). 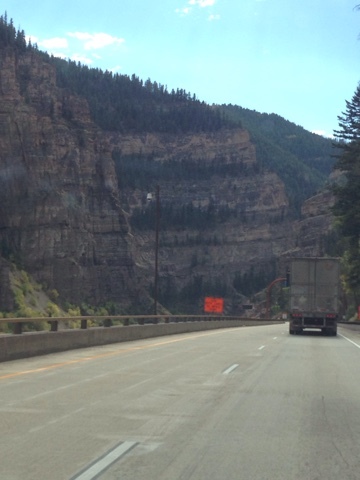 That stop made us even more excited for Mesa Verde, and its cliff dwells! After that it was finally time for a break from driving, 1100 miles in!